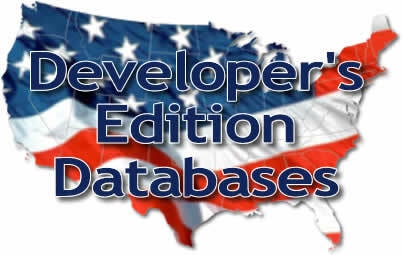 The US Databases Developer's Edition contains everything you need to create your own applications and websites using our databases. Thats right! You get all of our US Databases plus, as a special bonus, we're also going to give you a special edition of the Zip Code Tools software. This software will contain an upgraded version of our zip code database that gives you latitude and longitude for each zip code plus much more detailed information. Available only with the Developer and Ultimate versions of our databases, the World Cities database contains information from 180 countries and over 150,000+ cities from around the world! Fields included in the World Cities database are: Country Name, Country Code, Region Name, City Name, Latitude, and Longitude. To make life easier for those creating a website with our databases, the developer's edition includes MySQL & Microsoft SQL versions of the databases that will allow quick and easy uploads to your hosting provider.